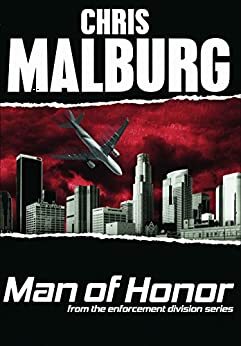 next riveting installment--Man of Honor. This is a step up from a cozy but not as dark and most police type procedural novel . . .I liked getting to know Katie as the story progressed. I definitely want to get to know her better in upcoming books. This story is just full of little medical details that just set the story apart really giving Katie some depth. 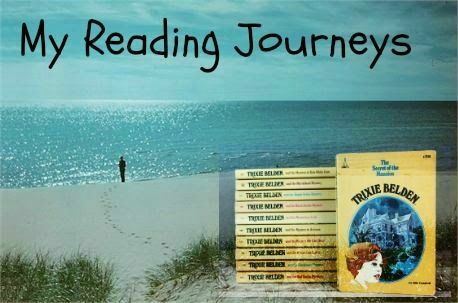 The development has lots of twists and turns to keep the reader guessing even when they think they are keeping up. Unnatural Causes has more character depth than the average mystery, and it combines elements of both cozy and traditional mysteries. The story is clean, which I very much appreciate, and there’s even a hint of romance. The author does a great job of giving you information that can make you think one thing when it was something else. Suspense? Thriller? Cozy? This is one that the cover doesn't tell us. Honesty I expected it to be more of a thriller and a little dark. I dare to say someone that is a fan of Cozy's and not the other two might not give Unnatural Causes a chance. And, that would be bad. Unnatural Causes is a little different that most cozy's but still will fall in the category. This was a great read. The character(s) are fun to get to know. Katie is a strong character. The author provides the reader with just enough medical jargon to make the book readable without being confusing for a layman. There is a little romance simmering for book 2. It's always fun to get into a series at the beginning. I am looking forward to book 2. This was a great clean read and worthy of checking out! Read more reviews and interviews over at the tour. Click here. Just sayin' there's a reason Ex's are Ex's. Especially when their suspected of murder. But good 'ole Penelope throws caution to the wind and the slopes when said ex is numero uno in the murder of his current wife. 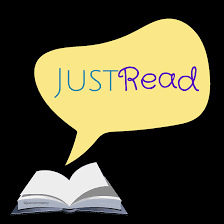 Murder She Slopes is a good ole cozy that keeps the reader enthralled and involved as victims pile up. Suspects are a plenty. And then there's the hunky detective boyfriend who isn't too happy that Penelope can't say no to sleuthing and helping the ex. Murder She Slopes is full of interesting characters that keeps the reader interested and wondering 'who dun it'. If your a fan of cozy mysteries you'll want to check out Murder She Slopes and try to figure out 'who dun it'. Wanna read more reviews? Click here to visit the tour. I was trying make a list of all the reasons I expected to like love this book. First there was the fact it's a Cozy. Small town. Library setting which btw I loved. I used to live in a pretty small town and loved the library. It wasn't really cozy though. 1st in the series. of a thriller in that it is about a cold case. And it fits all those things I and most people enjoy about a cozy. The main character Amy ends up helping her neighbor Richard search to finds clues to what happened to his aunt who disappeared in 1925. All this and then things go haywire in town. Are Amy and Richard stirring up trouble? Are the towns folks hiding things? Will Amy and Richard become better acquainted? Check it out you'll enjoy the ride! 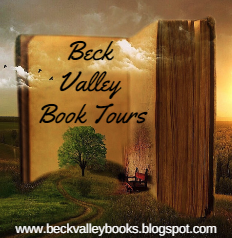 To read more reviews, interviews and author and character guest posts the tour. What the hell kind of place was this town that she could be kidnapped off the street and carried off into a dark alley? “Put her down, Cal.” An amused voice from next to them made Sabrina freeze. “Walt?” She craned her neck to try to see him. “Gladly.” The man holding her swung her down over his shoulder, setting her none-too-gently on her feet and backing away. Sabrina regained her balance and glared at him, then turned to see Walt, practically doubled over laughing and standing next to a girl in short shorts who looked just as amused. She whirled back to look at her kidnapper, realizing as she did that he was actually only about eighteen and wearing a pirate getup that made him look like a poor imitation of Jack Sparrow. I love a good romance. And, Movie Magic is just that. The characters are charming and entice you into their story. This was a rather fast read. Which some days can be good. It's good when you want to get to the end without a lot of just page turning. 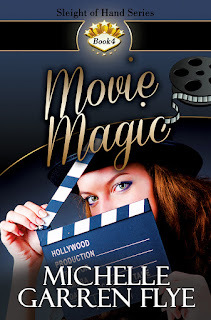 Although Movie Magic is book 3 it reads as a stand alone. I enjoyed this book so much that I would love to read the others in the series. Winter Garden Valley is filled with fun and quirky characters that appear daily to satisfy their hunger at the Southern Cafe. Hector that has a penchant for making the day better with a quote to the hilarious Dilly who comes by everyday for lunch or breakfast and must have a biscuit for her pet raccoon. I had an idea who did the deed but was a little surprised along with Amy and the others when the actual villain was uncovered. I enjoyed my visit to the Southern Cafe and look forward to reading more in this series. Read more reviews, interviews and guest posts and enter the girveaway over at the tour. Visit the tour to read about the rest of the series. My first thought is they just keep getting better. But actually that sounds like each installment is better than the last. there isn't a real need to read in order. Each one I've read is just better it seems than the last. Perhaps because we get to 'know' a different one of the characters better. 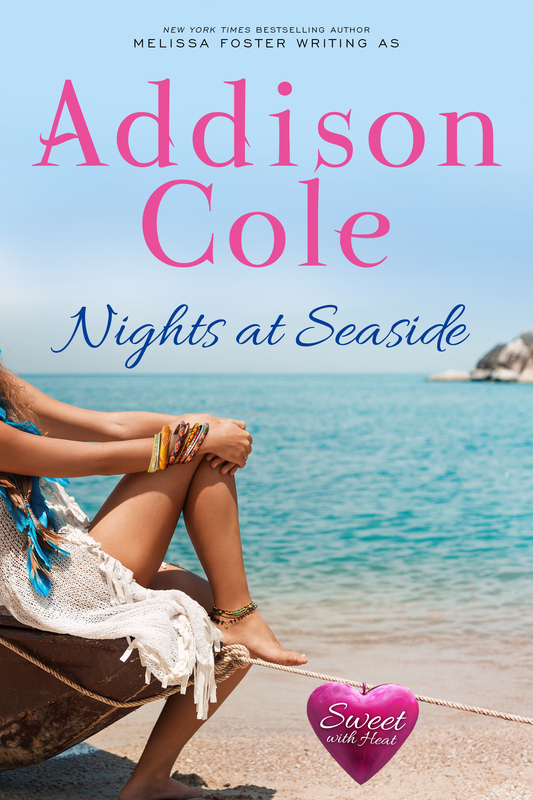 Nights at Seaside was a great read. The characters are real. Sky is sweet. Had me wondering a little bit as I am not much into tattoo's. I was thinking what's this character going to be about? Sorry for the stereo type. But I guess it kind of goes with how Sky felt about Sawyer at first. Finding out he is a boxer almost put the skids on any budding romance between the two. Seaside Nights by Melissa Foster which is a little more sizzle and bedroom scenes. I love that the author has provided us with this sweet story with just a little sizzle. I received a complimentary copy from Beck Valley tours. with book 1 to get the full story and stay up to speed on what's been going on. Beyond Forever is a good read. The trilogy is a good read. It's a nice contemporary love story that will keep the reader engaged all the way to the end. Personally I didn't really like the whole idea of Olivia talking to her deceased best friend. And then in this installment Finn even ends up going to Dan for help when their relationship is on the rocks. But this is fiction and it was a good read. Beyond Forever ends the series with tying everything up in a nice little package. The series is a good read. If your looking for spending a good number of hours with a light hearted read the Beyond Trilogy fits the bill. to read more reviews and view the trailers visit the tour. 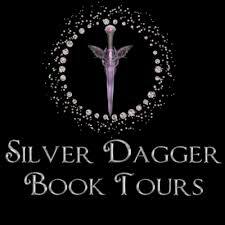 To read reviews, guest posts,interviews and enter the Giveaway visit the tour. Bodhi has one rule: never leave anyone behind. As a special operative, he knows that each new mission is more dangerous than the last. He’s never made a promise of forever to a woman, not even to the beautiful widow who has him tied in knots. And if there were anyone who could tempt him into putting down roots, it would be Bri dgette and her adorable son. I don't like rating with stars because seriously how do you do that? I mean if you didn't like the book it's easy to say. But if you thought it was superb how does 5 stars do it? I met Melissa Foster a few months ago when I read had the opportunity to read The Real Thing book 1 in this series. And btw I suggest you check it out too. I loved it! Only for You is a stand alone that you'll enjoy. I suggest a glass of wine. A box of tissues. And, put life on hold because you'll want to forget the kitchen and everything else while your turning the pages. The characters just draw you in. Bodhi and Bridgette just pull you in. The are charming and both have their baggage but they end up realizing that they are just meant to be. Melissa Foster writes an excellent romance that keeps the reader turning the pages and wanting more. Your mama might blush a little. My mama would probably 'toss it' but she's not real sassy. I loved Only for You. I can't wait for more in this series. is just a good 'ole romance. Maybe not written for an older mature crowd. But this older mature reader really enjoyed it! They had me at the cover! The characters were just nice and sweet. Lexie is a young woman looking to have some fun on the weekend after many long hours at a stressful job. Dealing with very sick patients can take it's toll. But Lexie is very good at her job. After a brief encounter at a concert Oliver's brother lands in the cancer treatment center were Lexie works. Lexie remembers the moment their eyes connected the night before. It doesn't take long for Lexie and Oliver to realize their interest in one another. When another nurse makes a mistake Lexie ends up being assigned as Bailey's (Oliver's brother) head nurse. As Lexie and the brothers and the band members begin to become friends Lexie and Oliver struggle with their growing interest in each other. Lexie can't imagine a even a few months of a relationship with the famous band member let alone a lifetime. Allowing ex-girl friends come on scene and the bands manager, and even her mother stir up trouble Lexie struggles with the truth that Oliver really is in love with her and wants a relationship. In the end after a bit of a surprise and twist in the managers relationship with the band Lexie and Oliver make the commitment to each other. I enjoyed the ending instead of an Epilogue the author gave us an Encore. 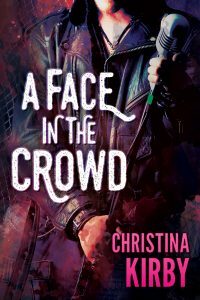 If you are a fan of a good sweet romance with closed doors to the bedroom and no language you'll love A Face In The Crowd. It was refreshing to read a romance with a famous rock star that was just a nice guy. I received a complimentary copy from Buoni Amici Press. Welcome to the blog today. Today we are featuring. . .
Scroll alllll the way to the bottom to enter the Giveaway! My sister is the best but she can drive a person crazy. She takes chances, she doesn’t listen to reason, and she certainly doesn’t listen to me. Maybe that’s because she’s three years older. Sure, Lee’s pretty smart, but don’t tell her that. I like to pretend I’m the smart one in the family. I’m a computer genius, if I’m to believe any of the write-ups in Wired. Frankly, I don’t. Silicon Valley is full of hype. But Lee’s got this special talent, which is pretty awesome. She’s a natural born ferret. She can find anything or anybody, anytime, anyplace. And it doesn’t matter how long ago, either. That’s why she’s got a reputation as one of the best investigators at Discretionary Inquiries. Some people might say that’s only because our mother, Lila Hamilton Alvarez, is CEO of D. I., but nepotism will only take you so far, especially with the likes of Mom. Behind her back, I call her ‘Our Lady’ and she’s Godzilla tough. I’ve known her to crack open a coconut just by staring it down. But back to Lee and her ferreting. I remember when I was in the 6th grade, this bully a year or two older, started beating me up after school for no reason. Lee found out that his dog had been missing for three weeks and he was taking his frustration and anger out on me. Wearing her non-judgmental hat, Lee went to him and said that she would find his dog if he promised to leave me alone after that. Even I didn’t think she could pull that off. The kid laughed in her face but she got him to promise. Long story short, Lee took her bicycle out every day after school and found the guy’s dog five days later chained in a yard in East Palo Alto. She had to walk back with dog in tow, because she’d traded her Schwinn for him. The bully turned out to be pretty nice guy after that, serving in Iraq now. We still keep in touch at Christmas. Anyway, that’s the kind of sister Lee is. She’s got your back. Which is good. She may drive me crazy but when Murder is a Family Business --that’s Book One of the Alvarez Family Murder Mysteries -- she’s exactly who you want to be hanging out with. And others are saying . . .
I’ve been a long-time fan of the Alvarez Family (since finding her first book on Bookbub a few years ago) and enjoy Ms. Haven’s sense of humor as she spins her stories for us readers. The tour is filled with reviews, guest posts, character guest posts and interviews. Click on the links below to visit.